A Christchurch structural steel company which specialises in disaster-proof buildings is set to play a major role in the reconstruction of hurricane-hit Caribbean islands. REIDsteel has designed, manufactured and supplied hundreds of buildings in the Caribbean and Central America over the past century, including churches, granaries, schools, industrial units, aircraft hangars and bridges. 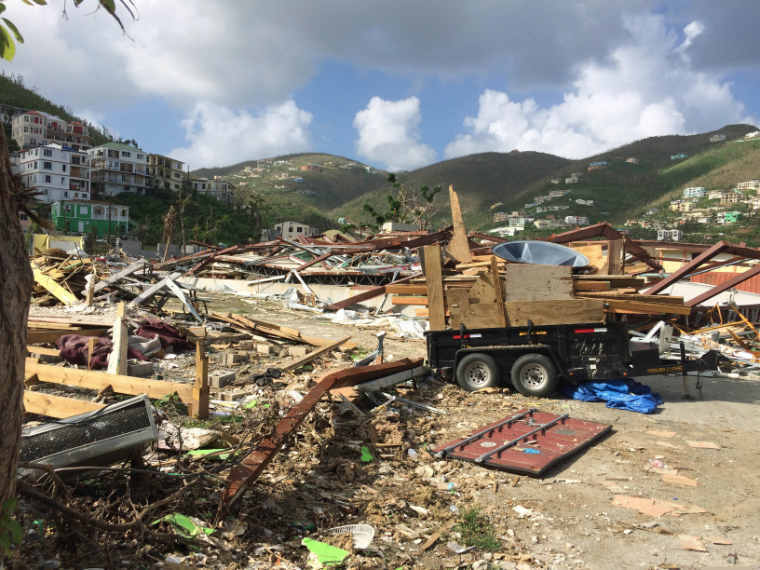 Sales manager Mike Chappell has recently returned from a fact-finding trip to the British Virgin Islands and Antigua, where he saw the devastation first hand. Mike met business and community leaders as well as government ministers. His visit came after virtually all of REIDsteel’s structures – including warehouses, supermarkets and chandleries and banks – survived hurricanes Harvey and Irma, which hit at speeds of more than 200 mph. Only one of its many buildings had suffered minor structural damage as a consequence of the hurricanes. REIDsteel has been called in because of its expertise and strong relationships with communities and businesses built over many years. One of the first projects will be to rebuild a school funded by a wealthy local benefactor in Tortola, which is the largest of the British Virgin Islands. Mike said, “Although I saw the devastation on the television, nothing can compare you for the shock of seeing it before your own eyes. People said that that they had experienced some incredible hurricanes but that this was on a completely different scale. REIDsteel’s buildings are designed and built to withstand the toughest environments on earth as well as natural disasters such as hurricanes, earthquakes and tsunamis. The company can design, manufacture, ship and supply entire steel buildings including cladding and glazing requirements, for anywhere in the UK, Europe and the world.